New 40ft. Standard Container Pictured. Interport’s 40-foot shipping containers represent tremendous value, whether for portable storage or intermodal transportation. 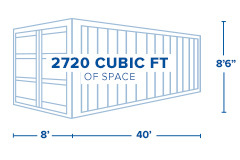 Our 40-foot storage containers are the perfect container solution for bulky or lightweight cargo or equipment. Machinery, raw materials, and excess inventory fit easily within the spacious 40-foot container, which features almost as much capacity as a two-car garage. 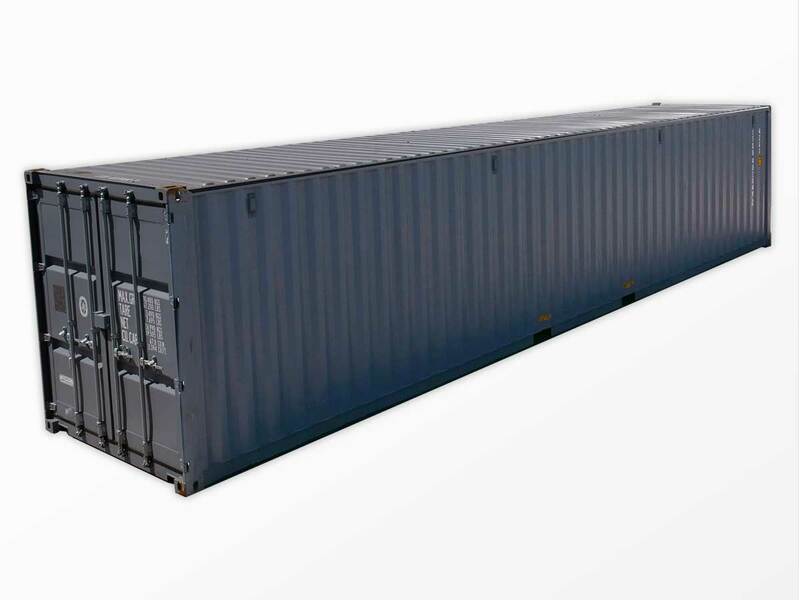 Interport’s 40-foot containers can also be fitted out as mobile offices, classrooms, and a virtually limitless variety of other kinds of spaces. Interport offers the Northeast’s largest selection of high-quality new and used 40-foot shipping containers, available for immediate sale and next-business-day delivery. Width: 8ft. Width: 7ft. 7in. Height: 7ft. 4in. Payload: 59,547 lbs. Height: 8ft. 6in. Height: 7ft. 8in. Tare Weight: 7,650 lbs. Length: 39ft. 4in. Width: 7ft. 7in. Height: 7ft. 8in. Gross: 67,197 lbs. Payload: 59,547 lbs. Tare Weight: 7,650 lbs.